Can you "Walk the Dog" or 'Shoot the Moon"? Well now you can with our non tarnish finish nickel plated yo-yo. 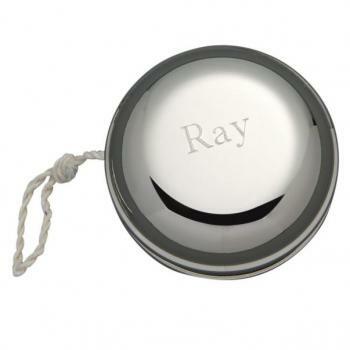 The yo-yo has a white string and can easily has engraving added to one side of the yo-yo.